This year's fund raising campaign organized by Aruba Clown Doctors is centered around Julien Collot's Traveling Bear. The efforts of the fund raiser is to bring awareness to Children with Cancer. The focus of Julien Collot's Traveling Bear is to encourage Arubian travelers to take the bear on their upcoming journey's during this year. Julien Collot's Traveling Bear does not only include international travels, but he can be invited for day out on Aruba, documenting his island visits as well. 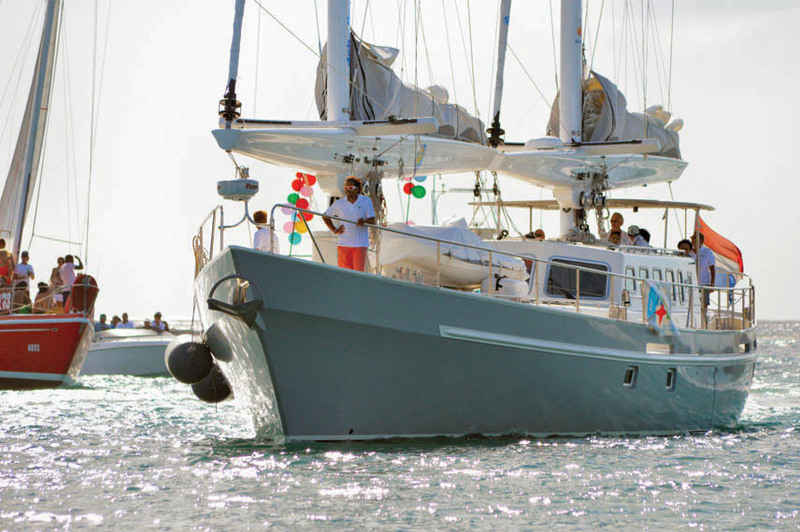 Since 1976 Aruba has been celebrating its National Anthem and Flag Day on March 18th. As March 18th falls on a Monday this year, the celebrations will take place as of Saturday March 16th allowing for a long weekend of events. Over 60 volunteers dedicated one morning to plant thirty six fruit and vegetable trees and sixty flower pots at an elementary school. 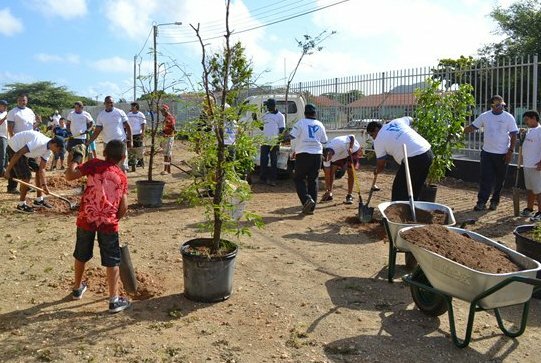 With this gesture not only the Marriott Aruba Care Foundation are making Aruba greener, but also they are educating the students by helping them with the green project by providing a better environment as a part of their education program. 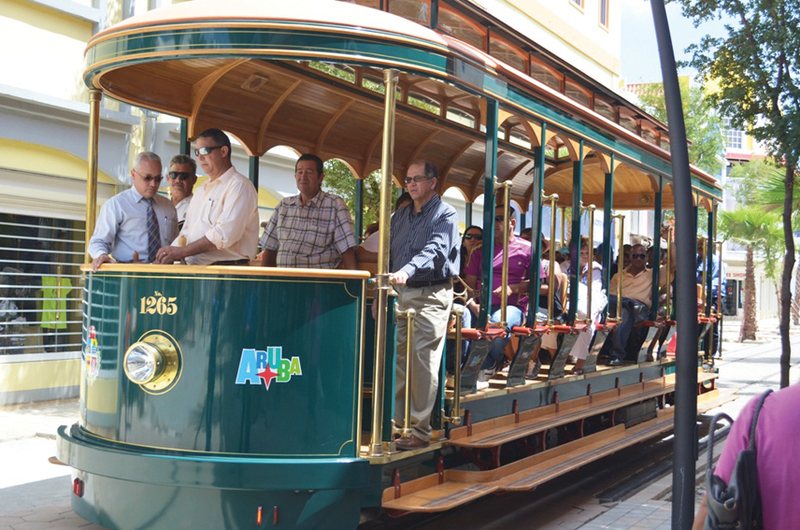 Seems Aruba's streetcar is off to a good start and is being considered an innovative addition for the downtown area, as it will facilitate cruise visitors to see more of our historic buildings and shops in the center of town. Famous US figure skating champion Johnny Weir choose Aruba for his trip and was greatly welcomed by the staff and personnel of the Westin Resort. During his stay he spent some time with Aruba's Olympic Committee providing valuable insight and motivation for the island’s program. 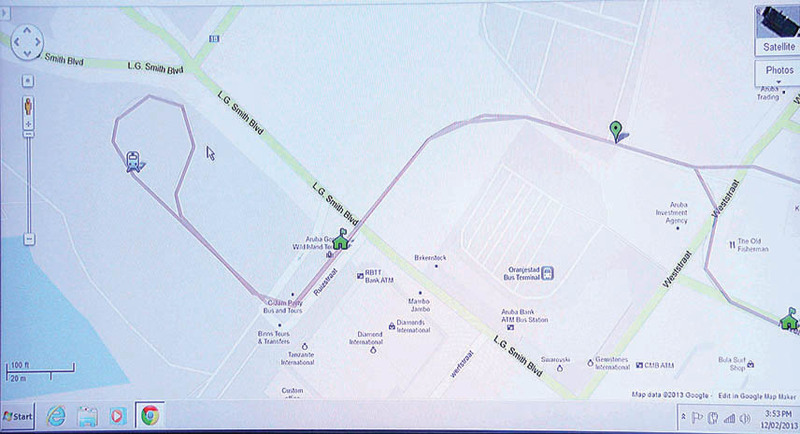 Announced by the Director of Arubus, the Oranjestad Tram is scheduled to begin transporting visitors from the Cruise Terminal. Operating six days a week, the solar powered service will begin at the Cruise terminal and stop at historical landmarks on its way to the center of Town. Shoppers can enjoy shopping and perusing the downtown area without the heavy flow of traffic in the city area. 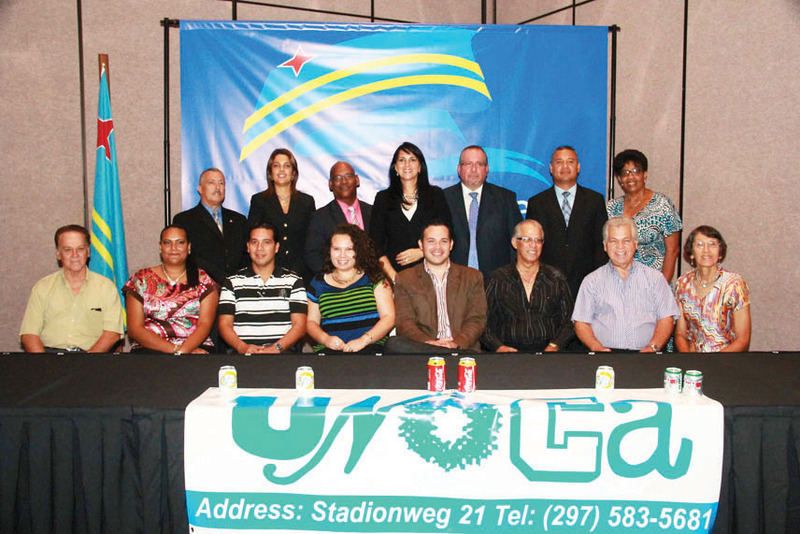 Aruba’s female softball league won the title “Champions of the Caribbean” after representing Aruba in the competitive sport against other islands at the games held in the Bahamas. 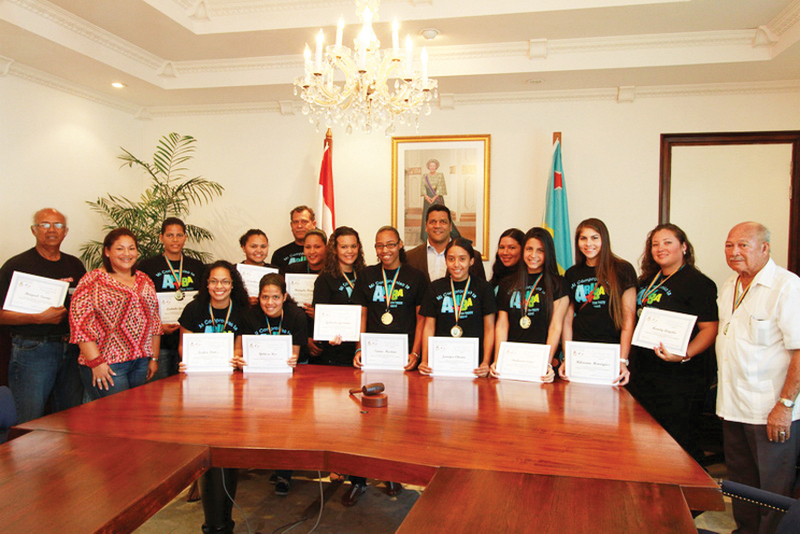 Wining the title made way for the Aruba female team to represent the Caribbean at the World Series in the U.S.A. 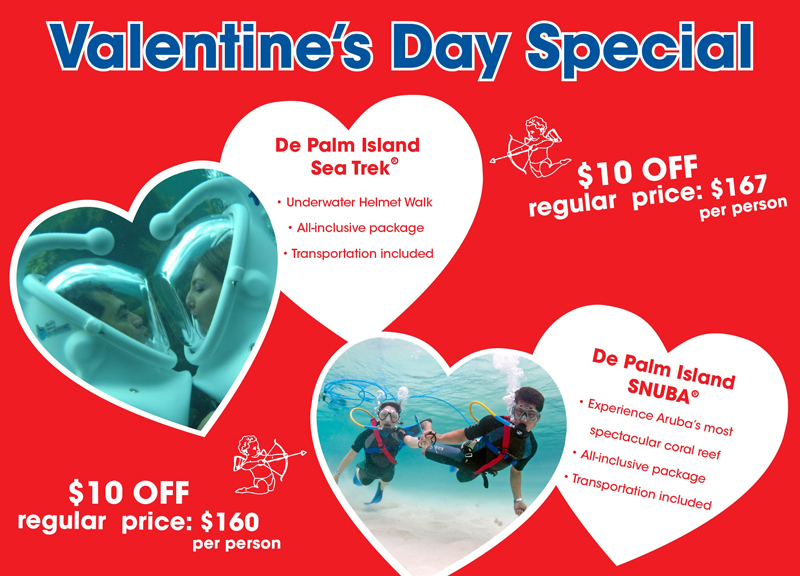 If you’re celebrating Valentine’s Day in Aruba, know that De Palm Tours offers you romantic options, which will turn your special occasion into an once-in-a-lifetime memory. See the various packages specially prepared by De Palm Tours for sharing and celebrating the international day of love with your partner. What better way to celebrate Valentine's Day than with a "couple treatment" at the Spa Cove on Renaissance private island? And to make it even more special, Okeanos Spa Salon prices will be in Florins! Every year the Sun Sentinel and the Miami Herald select the best athletes of every sport and they are naming them All Star athletes. 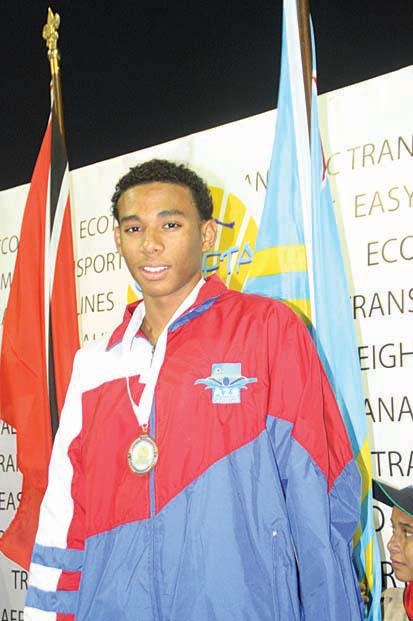 This year the Aruba Swimming Federation received the good news that Aruban athlete Jemal Le Grand was named as one of the best swimmers of the USA high school competition season. 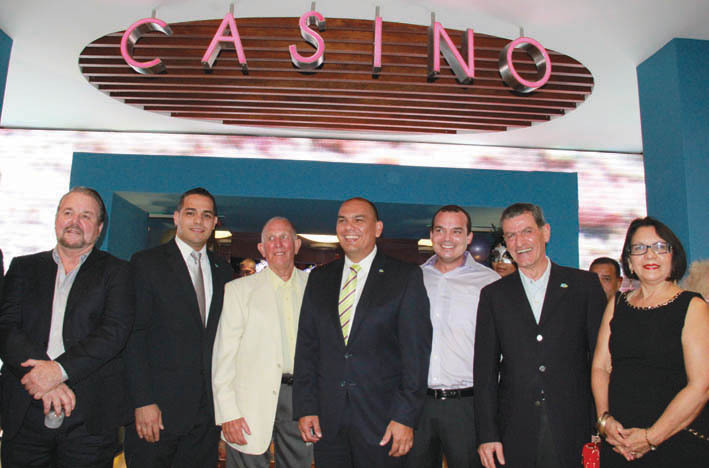 La Cabana Resort opened its doors for Glitz Casino. 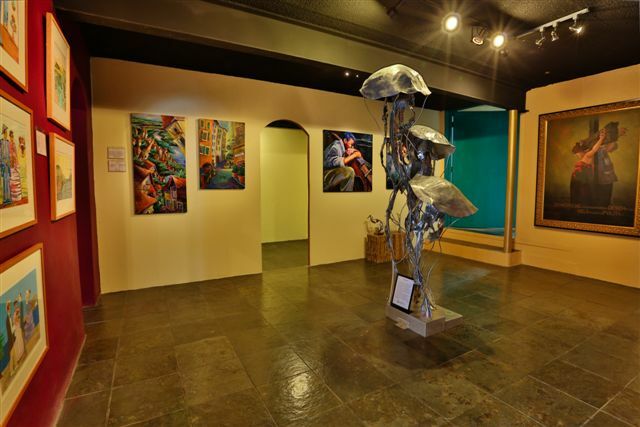 The casino is comfortably locate inside the lobby of the resort and is open for island visitors and locals alike. Glitz Casino features 200 slots machines and 9 table games. Ecolution is an energy-autonomous sailboat designed for people who want to sail year round and worldwide, summer and winter, throughout the world. After 88 days in which Ecolution crossed the Atlantic Ocean, ex-astronaut Ockels and his crew finally arrived in Aruba. Ecolution will stay over in Aruba for three months and during this period Ockels will assist the Aruban government with several sustainability projects.